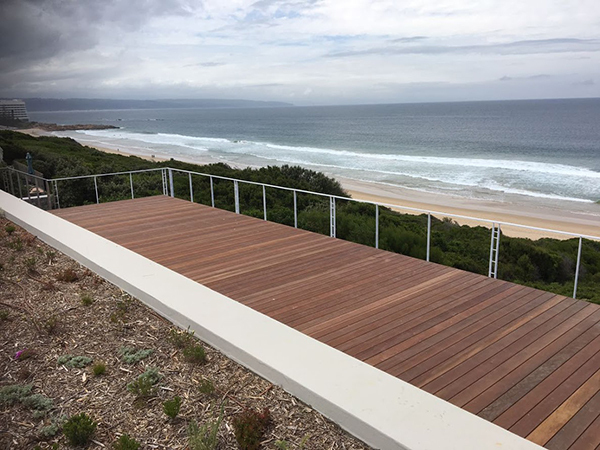 The unique EcoCradle, made from environmentally recycled rubber crumb, is ideal for use with exterior timber decking as it provides a durable, quiet, shock absorbing system that can be height adjusted and levelled on site. 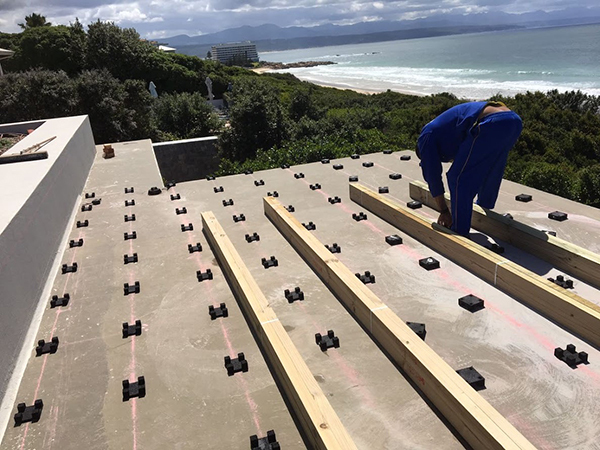 The outside area where the decking is to be installed does not have to be an even surface as the EcoCradle system is simple to adjust and levelled on site. 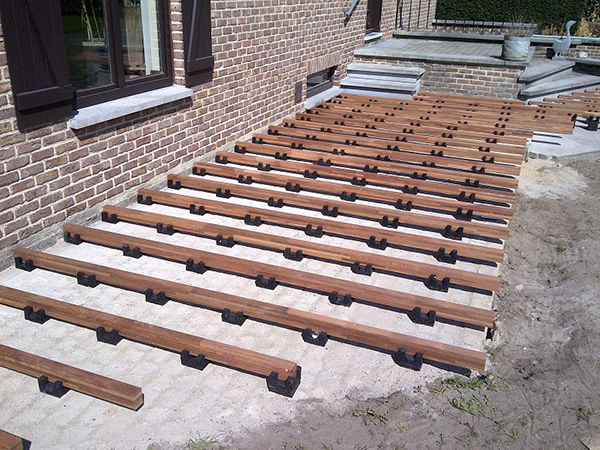 Combinations of 2mm and 5mm cradle packers, with 10mm and 30mm interlocking base packers for more difficult areas, are used to alter the cradle height and ensure that the decking surface is completely level. A suitable support batten, made from timber, aluminium or composite material, is simply inserted loose into the positioned cradles. 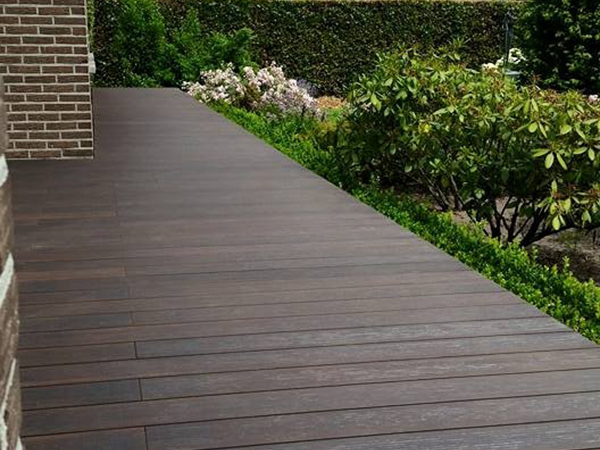 The chosen decking material, such as wood planks, tiles or composite material, is then fixed directly to each batten, with the traditional clips and fixing brackets common in the industry, to create a superior exterior decking system. 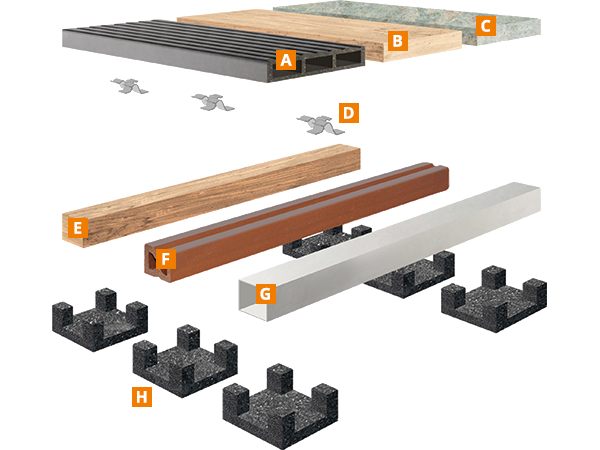 Rubber crumb EcoCradles provide excellent acoustic insulation that isolates the impact sound, which can be really important on outside balconies or flat roofs where sound transmission can be an issue. 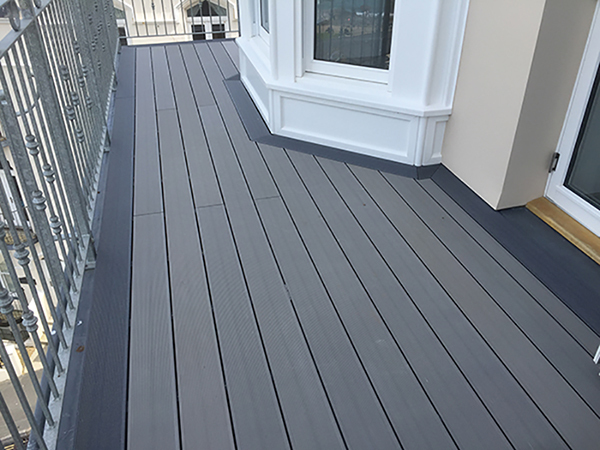 They cause no damage to the sub-surface, such as flat roofs, and eliminate the creaking created by many types of plastic cradles that are used for outside decking. The cradles are also very hard wearing, water resistant and do not become brittle in cold weather conditions.